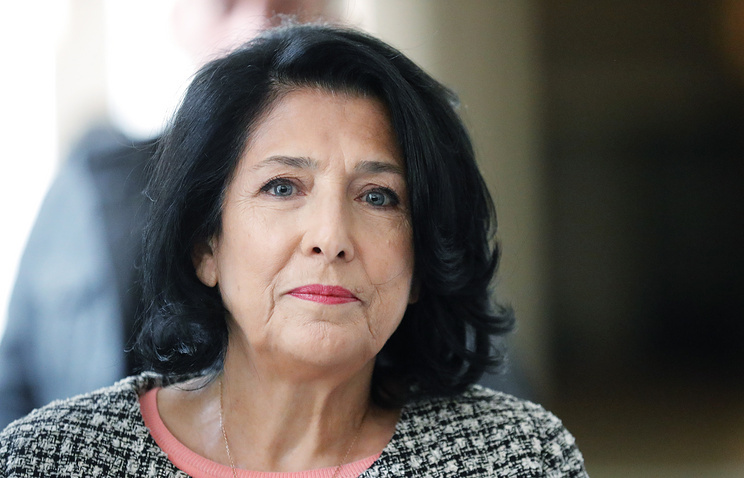 Georgian leader Salome Zurabishvili said that the cooperation "is aimed at contributing to the preservation and establishment of peace and stability in the region"
TBILISI, March 6. /TASS/.Georgian President Salome Zurabishvili stated that the cooperation between her country and NATO is not directed against Russia or any other country, she said at a plenary session of the Georgian parliament in Tbilisi on Wednesday in her annual report on the situation in the country, televised live by the Georgian Public Broadcasting. "Georgia is actively cooperating with NATO; the course for integration in the alliance is the sovereign right and the choice of our country. I also want to state that the cooperation between Georgia and NATO is not directed against Russia or any other country," she stated. Zurabishvili highlighted that "the cooperation between Georgia and NATO is aimed at contributing to the preservation and establishment of peace and stability in the region." Georgia has cooperated with NATO since the late 1990s. In November 2002, President Eduard Shevardnadze stated at a summit in Prague the country’s wish to become a member of the Alliance. The next president, Mikheil Saakashvili, confirmed this intention. The new government which came to power after the victory of the Georgian Dream coalition in October 2012 continued the course for integration with NATO, but still the new authorities called "the gradual normalization of relations with the Russian Federation without damaging Georgia’s territorial integrity" as "the most important task" of the Georgian foreign policy. In 2015 and 2016, NATO Secretary General Jens Stoltenberg visited Tbilisi. 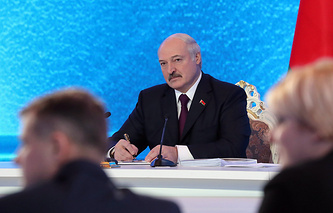 He affirmed that Georgia is a NATO member, but noted that he cannot name any exact date of the country’s accession to the alliance. In late March this year Stoltenberg will visit Georgia again and take part in the "NATO-Georgia Exercise 2019" that will be held not far from Tbilisi. In late January the Georgian Ministry of Defense reported that 23 countries already stated the readiness to take part in these drills that will be held as part of the package of cooperation between Georgia and NATO (adopted at a summit in Wales in 2014). The drills are directed at supporting the conformity of the Georgian Defense Forces with the standards of the Alliance. Still, a number of local politicians oppose the course for Georgia’s accession to the military-political bloc. The former parliamentary speaker and head of the Democratic Union - Common Georgia party Nino Burjanadze is most active on this issue. She repeatedly stated that neither the US, nor NATO can solve Georgia’s vital problems. She believes that these problems can be solved only through the massive normalization of relations with Russia.